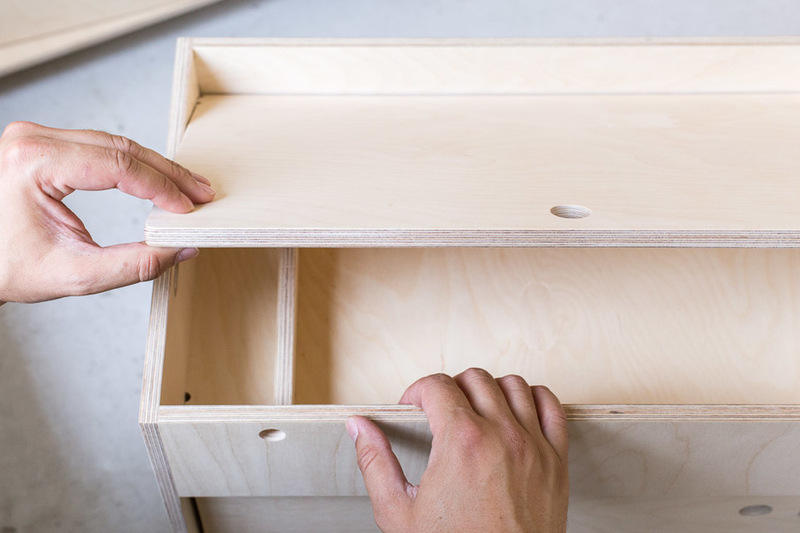 It’s been over eight years since old friends Joni and Lynton designed their very first CNC milled storage box. 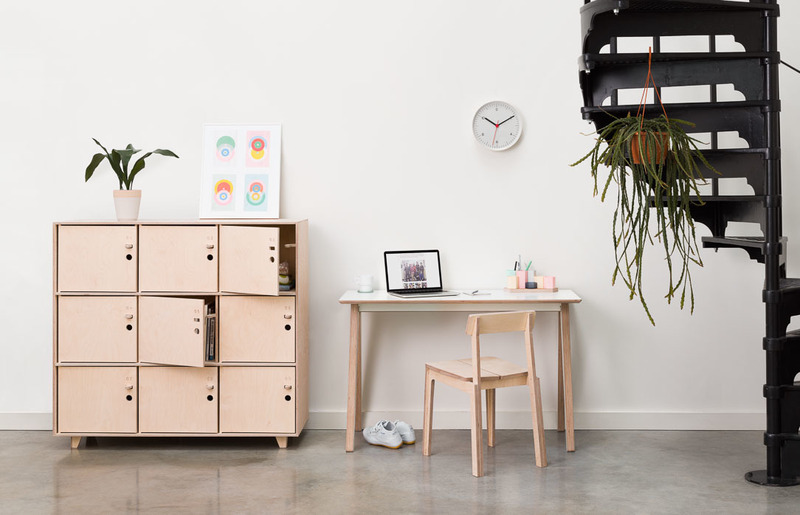 What started in 2008 as a simple box on wheels has been slowly iterated into a storage solution that’s perfect for co-working spaces and home offices alike. Wherever and whatever your work, Lynton’s Pedestal is the perfect storage sidekick. 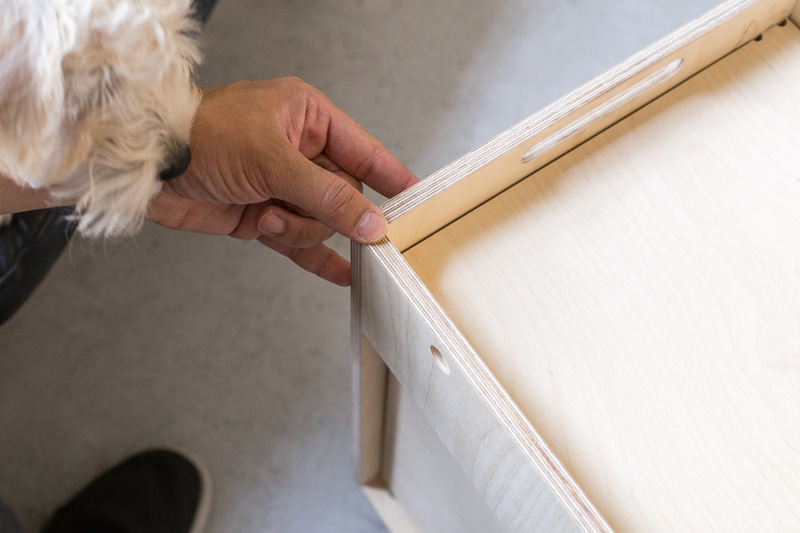 Whilst only part of the Opendesk collection since April 2015, the Pedestal began life as a simple box on wheels eight years ago at Architecture 00. 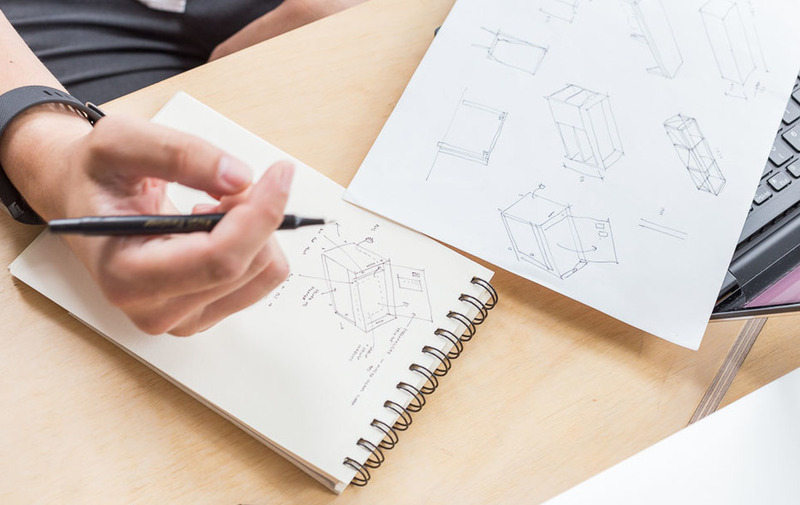 Good friends, co-founders and colleagues at 00, Joni and Lynton wanted to design a storage system for personal items and A3 drawings. 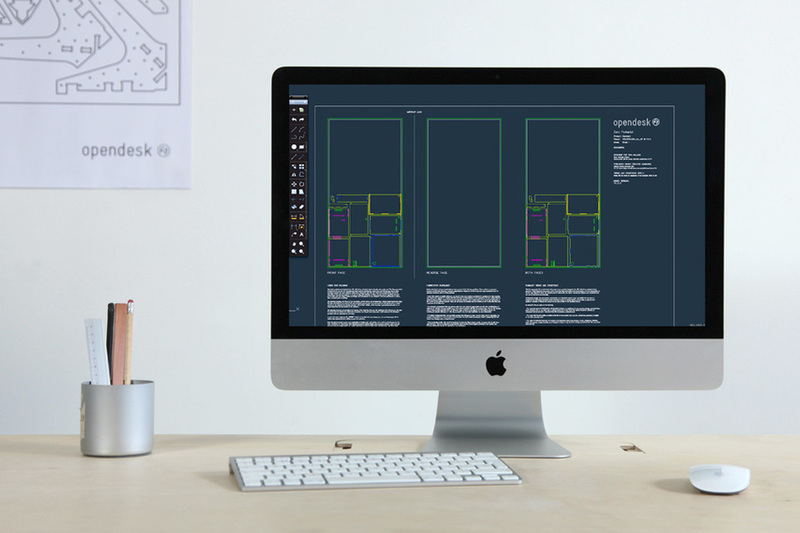 After many years of iteration, Lynton has continued to evolve the design with input from countless contributors. Perfect for home offices, co-working spaces or large offices, Lynton’s Pedestal is the ideal companion for any workstation. 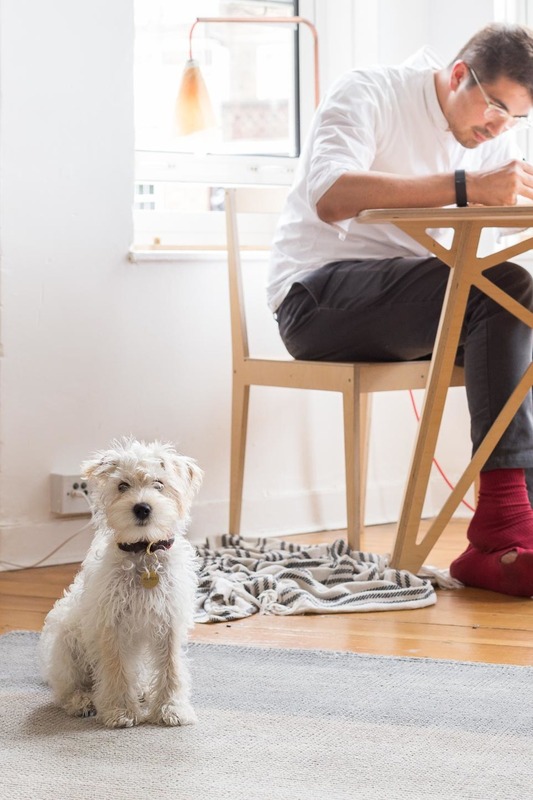 This little partner keeps your desk clean and organised by providing personal and private storage within arm’s reach. A large compartment at the front provides ample room for files and books whilst the top compartment provides storage space for laptops, stationery and papers up to A3 in size. A fold up lid on the top compartment acts as a user’s personal ‘desktop’ for pictures, notes and to-do lists. 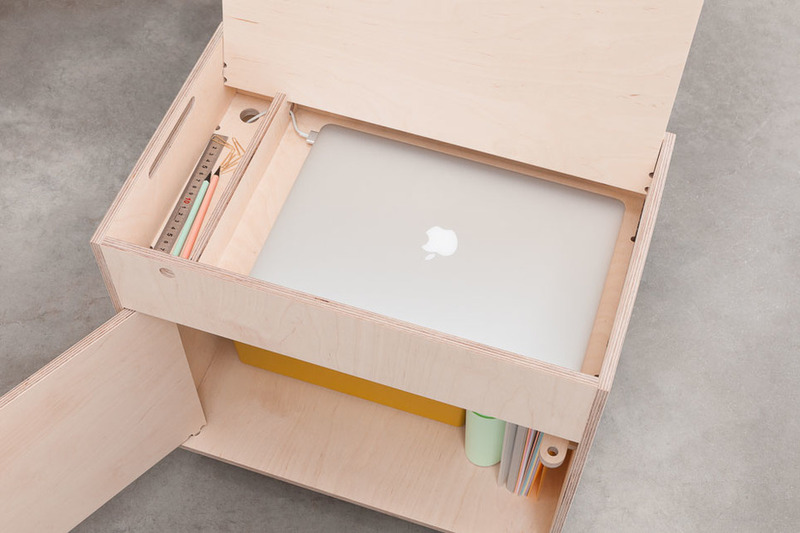 Clever cable management allows a laptop to be charged whilst stored away in the top compartment. For those storing valuables, padlocks can be used to secure both compartments. Locally sourced castors allow the Pedestal to be moved around with ease. Lynton’s latest design revamp introduces improvements which greatly reduce material wastage. All the components now fit perfectly onto half a sheet of 8’x4’ birch plywood, meaning the remaining half is a useful size and can be used elsewhere. 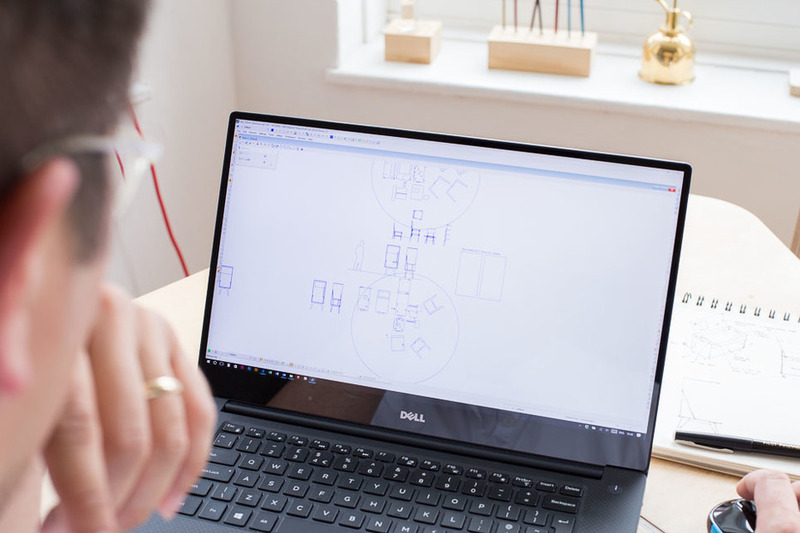 In an effort to improve our service for Makers, we’re ensuring all designs in our collection can fit onto standard size sheets of material in logical ways. 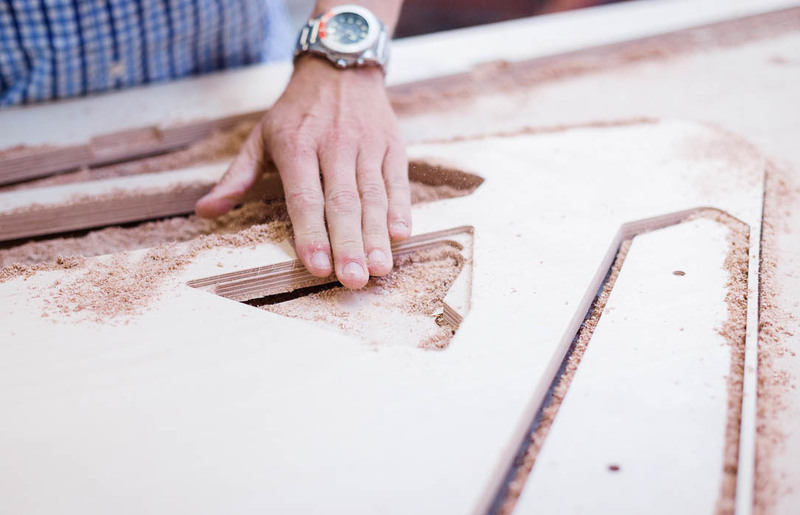 Components for a desk or chair should fit onto either a full sheet, half a sheet or a quarter sheet. 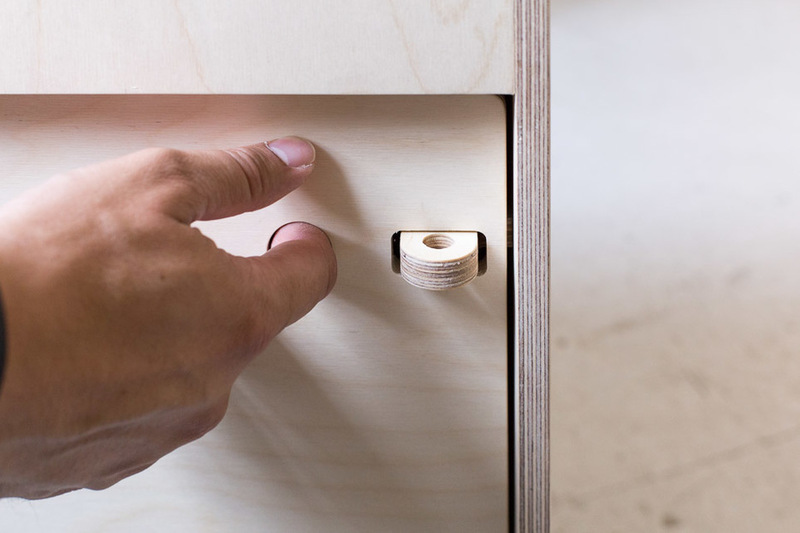 This way makers are left with useful chunks of material rather than awkward off-cuts. 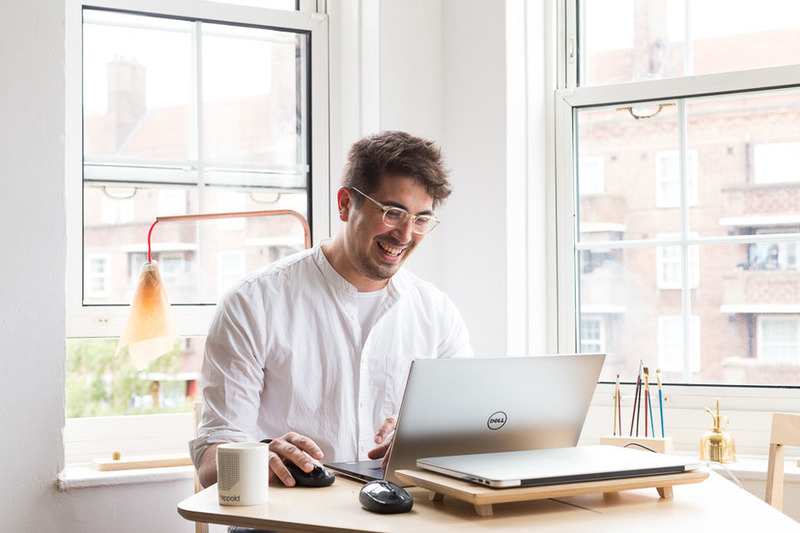 Lynton’s Pedestal is the result of years of Architecture and Design work at Architecture 00, a practice with a track record in delivering a broad range of activities relating to the shaping of our built environment. 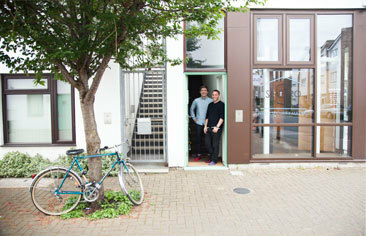 Founded in 2005 by a group that included Joni and Lynton, the practice brings together skills in action-led research, urban design strategy, architecture and place making with a detailed understanding of how the physical fabric of buildings can be accompanied by innovative, engaging and collaborative processes. The practice affords many freedoms to its team of architects, strategic designers, programmers, social scientists, economists and designers. 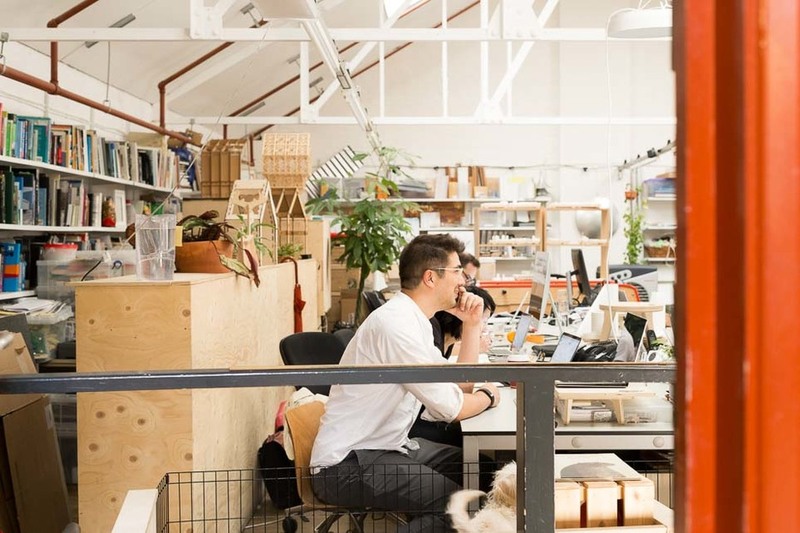 This freedom leads to disruptive thinking and experiments - Opendesk and Wikihouse are two of the perhaps best-known experiments. 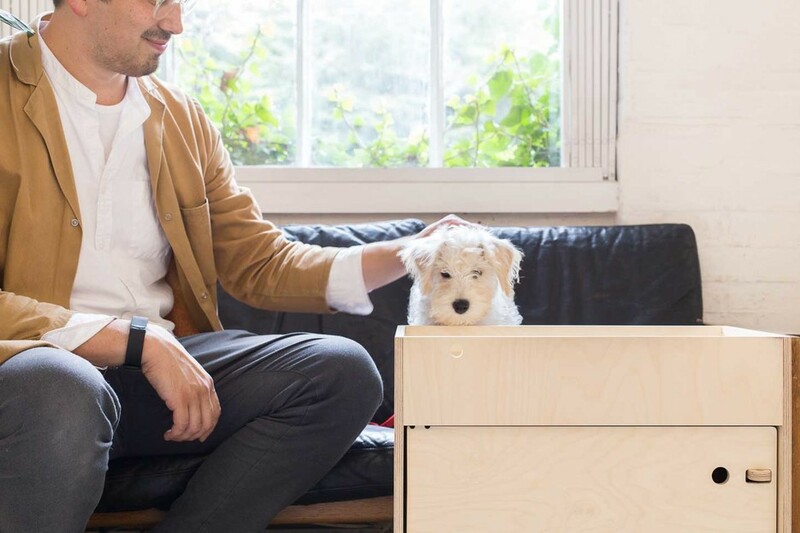 Opendesk: Introduce the Pedestal. What inspired the design and why and for whom was it originally created? Talk us through its features and your interest in coercive design. Lynton: The Pedestal is actually an update to a simple box on wheels Joni made for 00 about 8 years ago to store personal items and A3 drawings. 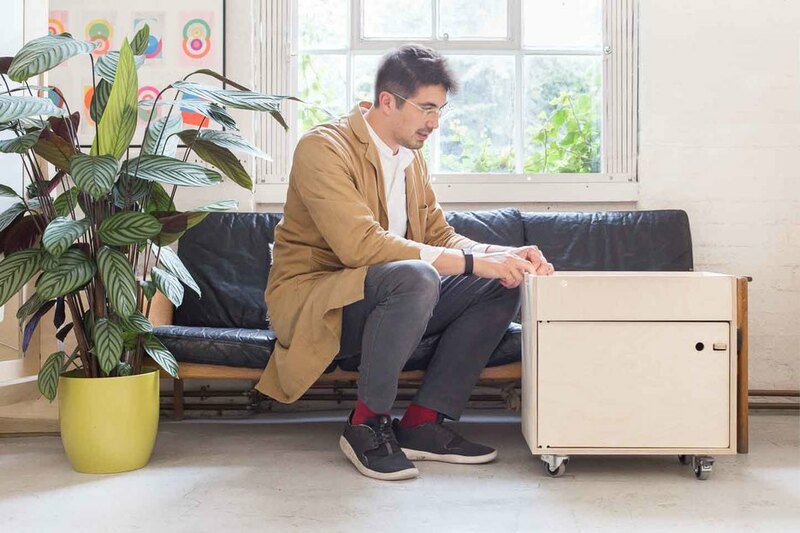 After years of use, the box has been slowly iterated into a storage solution that is perfect for co-working spaces where you may be sat in a different seat depending on the day or even hour. As with all our design work, we closely observe how people behave. In the case of these boxes, it became apparent that people would typically stack more and more items on top of them - the result being that their location would become static and their contents would ossify, defeating their point. In order to create a pedestal that was always neat, we employed a few coercive devices that would reduce the amount of clutter that would accumulate on them. We made the top of the pedestal a convenient and safe way to store and charge your laptop with a lockable lid and a route for a power cable. Because the lid is used regularly, it’s inconvenient for people to store documents on it. 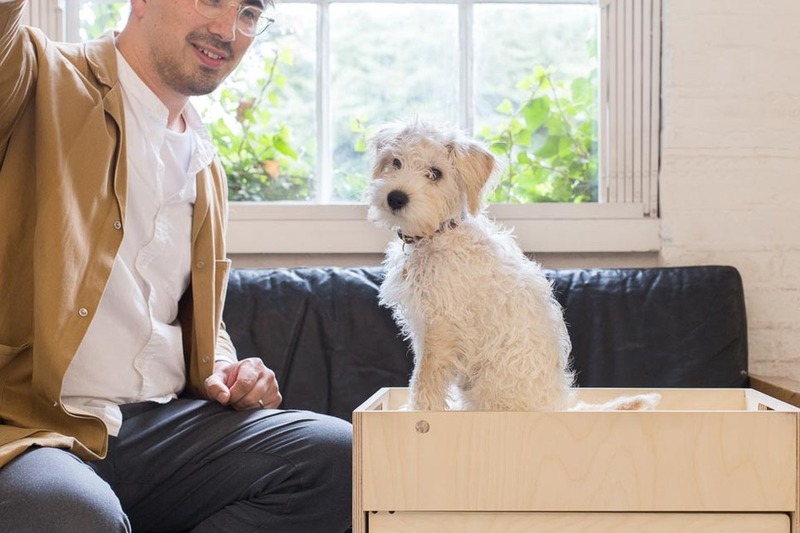 The fold up lid also was designed to act as your personal ‘desktop’ providing a space for users to pin up photos of their family or to-do lists, adding a personal touch- something which always seems to be missing from co-working environments. 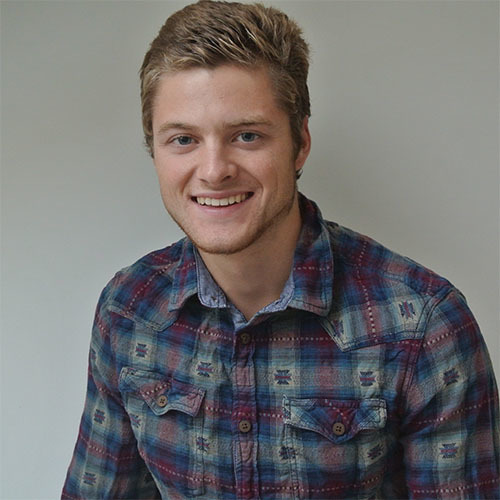 Lynton: I typically design in 2D and rarely use 3D CAD software partly for the mental challenge, but also because I feel that I have more control over the design. It’s also true to the process for which I am designing - an 8’x4’ sheet of plywood and CNC machine is in principle very similar to a sheet of paper and a pencil. Designing in 2D also helps me visualise how something will be cut through knowing I will only be using one sided cutting, or that you can fit multiple designs onto one sheet. Material efficiency is very important to me as it affects cost so much. I spend a lot of time figuring out the best, most efficient nesting solution for my designs (how the parts fit onto a sheet of 8’x4’ plywood). I also enjoy designing objects that can be made entirely from one material and process so I avoid the use of complex hardware and instead come up with simple CNC made hinges and fixings. Tell us about your own views of Open Design and distributed making. Why does the area interest you? 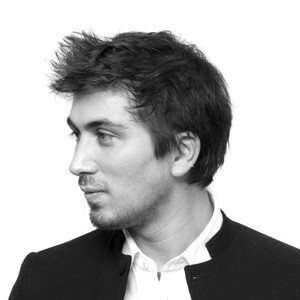 I’m fascinated by the democratisation of design. The tools and resources to create anything and everything are more accessible than ever. Open Design gives people the understanding that they can adapt the world to suit them instead of having to make do with what is given to them. This is an empowering freedom, one that empowers me in my own design work. For this very reason all my designs are Open Source and I hope that others can be inspired to learn and eventually participate in Open Design in the same way I was. It’s also important to me that my designs are cost effective and simple so they are accessible for anyone wishing to make them. I try to keep all my cutting files efficient, requiring only single sided machining. I also avoid screws and other hardware that may be unavailable in some parts of the world. Music (in Pedestal video) by Fog Lake, Erik, licensed under a Creative Commons-Attribution license.